Inaugurated on the occation of Gandhi Jayanthi. 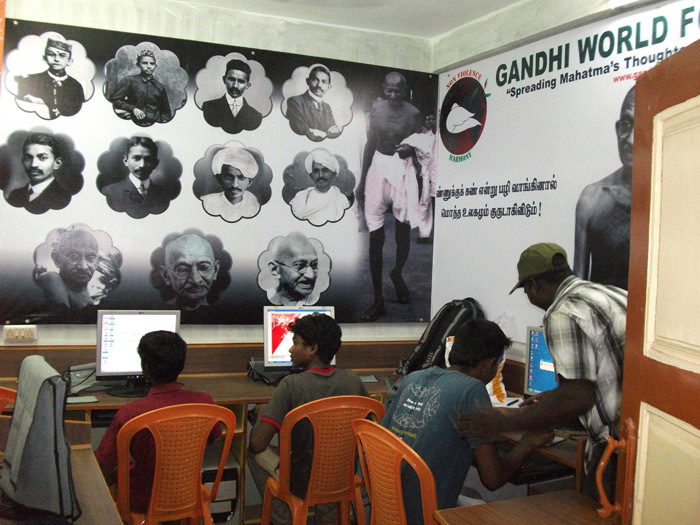 Gandhi World Foundation had inaugurated a Free Computer Training Centre for School Children and Youth on the occasion of Gandhi Jayanthi on 2nd October, 2012. 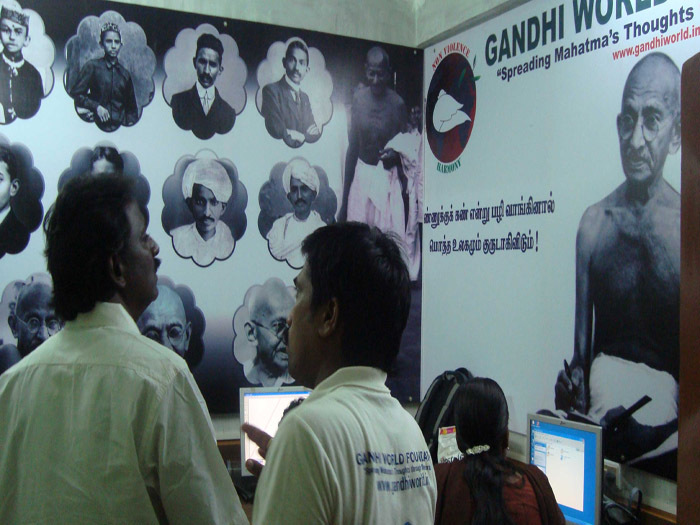 The Centre is located near Gummidipoondi Railway Station and State Bank of India had donated 10 Computers for this noble cause. 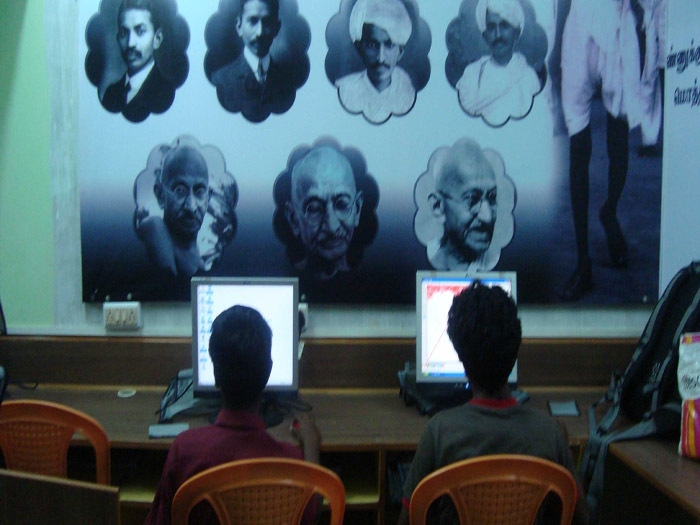 Gandhi World Foundation intends to conduct free computer training programmes on Operating System, MS Office and Basic Internet to children free of cost with the main intention of spreading computer literacy among young children. 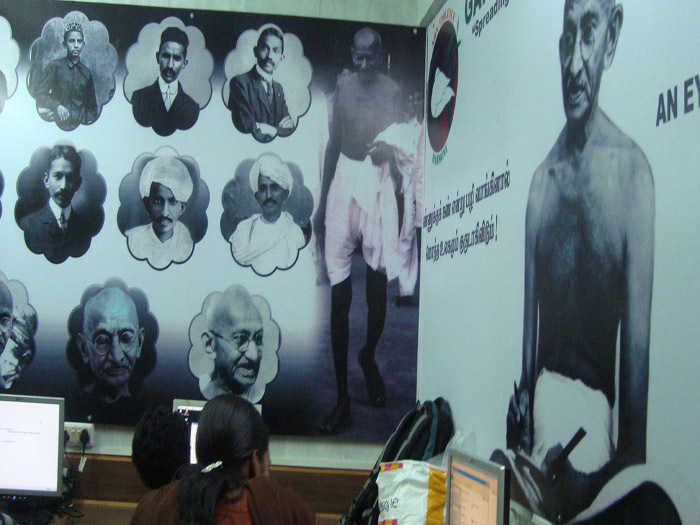 The centre shall also teach Gandhian thoughts and Principles to young Children. The Centre was inaugurated by Mr.K.Dharman, a well known social worker in Gummidipoondi in the presence of Mr.ML.Rajesh (Founder Trustee), Mrs.Vijayalakshmi Rajesh (Managing Trustee) and Mr.G.Shyam Sunder (Trustee and Advocate, Chennai).